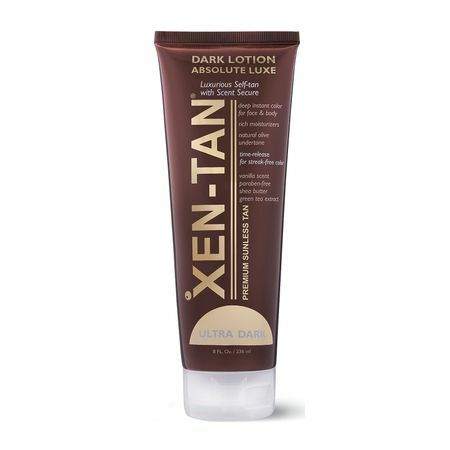 Xen-Tan Dark Lotion Absolute Luxe is an extremely rich dark tanning lotion that has has more active DHA agents than ever any other brand. With shea butter and aloe, it deeply moisturises your skin, leaving it feeling soft and smooth to the touch. The tan lasts up to 10 days with a natural rich olive tone. Apply using the Xen-Tan mitt for a flawlesz finish.